The City of Euless, Texas, in accordance with federal regulations and regulation for the State of Texas, maintains a back flow certification and testing program. 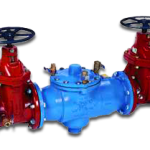 Basically stated, all backflow testers must be registered not only with the State of Texas but also the City of Euless, and all backflow devices must be tested annually by a certified and licensed backflow testing company. City Backflow Testing offers affordable backflow testing and is certified and licensed by the State of Texas and the City of Euless. For the very best in backflow device testing, maintenance and repair, turn to City Backflow Testing.